Any family that cares for a child with special needs must consider special needs planning as a part of their overall estate plan. Why? Because someone has to be able to take care of that child in the event of the parents’ death. A special needs trust can be just the solution you’re looking for. 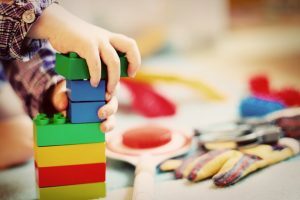 Parents of children with developmental disabilities and other special needs often face unique challenges when it comes to estate planning. While the average family can often rely on a will or simple trust to handle asset distribution issues, such tools are often insufficient for dealing with special needs issues. If you have a dependent child who has special educational, medical, or care needs, then you probably worry about what might happen to that loved one when you die. The good news is that you can usually use a special needs trust to help ensure that your dependent heir is properly cared for after you’re gone. A special needs trust is a specific type of trust designed to accommodate the unique needs associated with estate planning for persons with disabilities. These trusts were developed in response to the many challenges that families often confront when they try to ensure that their dependent loved ones with special needs have access to an inheritance that can enrich their lives. These trusts are different from the average trust because they are structured in a way that makes them unavailable for most of the heir’s basic needs. Instead, they are typically set up to provide a supplemental source of benefits for the heir. A supplemental care special needs trust is one of two basic types of special needs options. The other is the general support trust. They differ from each in one key way that the trustors need to understand. The general support special needs trust contains assets that can typically be used for any care need. That can cause those trusts to run afoul of government benefit programs’ eligibility standards and result in the heir losing important benefits like medical care or housing. The supplemental variety directs the inheritance to be used only for things that those government benefits do not cover and specifically precludes the funds from being used for basic care that is otherwise covered by those benefits. Why is having a Special Needs Trust important? If you have a child with special needs and simply leave that child a trust fund or other inheritance, that wealth can be used to deny that heir access to government benefits that may be critical for his or her care. For example, if your child receives health insurance coverage through Medicaid, any direct inheritance could result in a denial of benefits since it would likely result in a failure to meet the income and asset standards used for determining eligibility. By using a special needs trust, you can still provide your heir with an inheritance, and do it in a way that helps to supplement his or her lifestyle and provide benefits that wouldn’t otherwise be available through government programs. When you create and fund a special needs trust, there are certain requirements that must be met. First, the trust should contain language designating it as a supplemental trust if you want to avoid any interference with the heir’s program eligibility. There should also be language specifying that the trust funds are not be distributed to pay for basic care. That language helps to ensure that the trust is properly identified for what it is, and is not considered as a countable asset when program eligibility is calculated. The heir for whom the trust is created typically has no direct access to distributions. Instead, the trustee is responsible for spending the money in ways that directly benefit that heir. That helps to maintain a legal wall of separation between the trust and beneficiary, in much the same way that similar provisions work to shield assets from creditors in a spendthrift trust. If you have questions regarding special needs trusts or any other estate planning matters, please contact the experienced attorneys at The Potter Law Firm for a consultation. You can contact us either online or by calling us in the Charlotte and Huntersville, NC area at (704) 944-3245 or for individuals in Kentucky at (606) 324-5516 (Ashland, KY) or at (859) 372-6655 (Florence, KY). Special Needs Trust in Charlotte North Carolina: When Would I Need It?